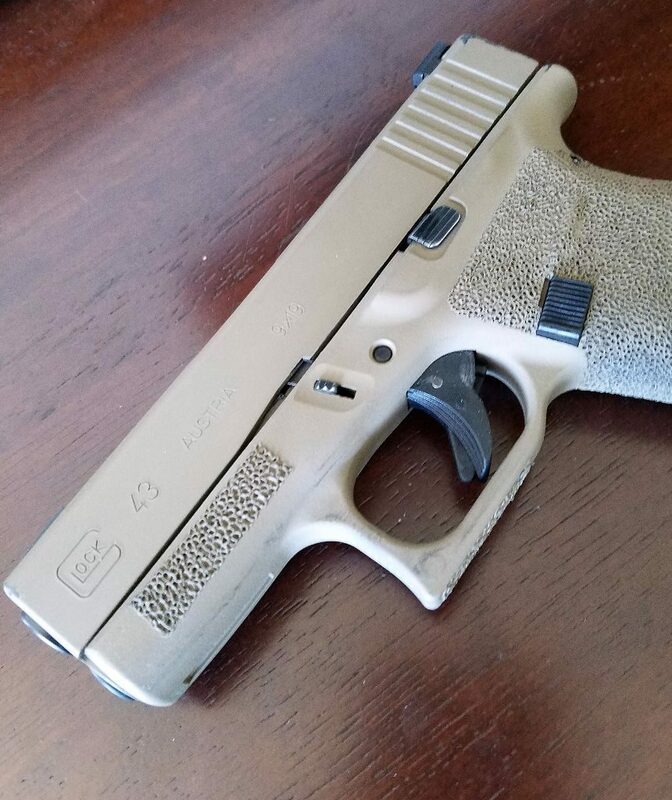 As I had mentioned in the GLOCK 43 – Getting a better grip post, I have a gunsmith locally that does cerakote and he offered to cerakote my GLOCK 43 in the same color pattern as my Umbrella Corp/BCM SBR. It took a little while, I had to grab the gun from him as I needed it for a few weeks. He called me a few days ago to let me know it was all set. I have to say I am in love. I don’t really love the 43 as a pistol. I think it’s the best one for it’s size category. 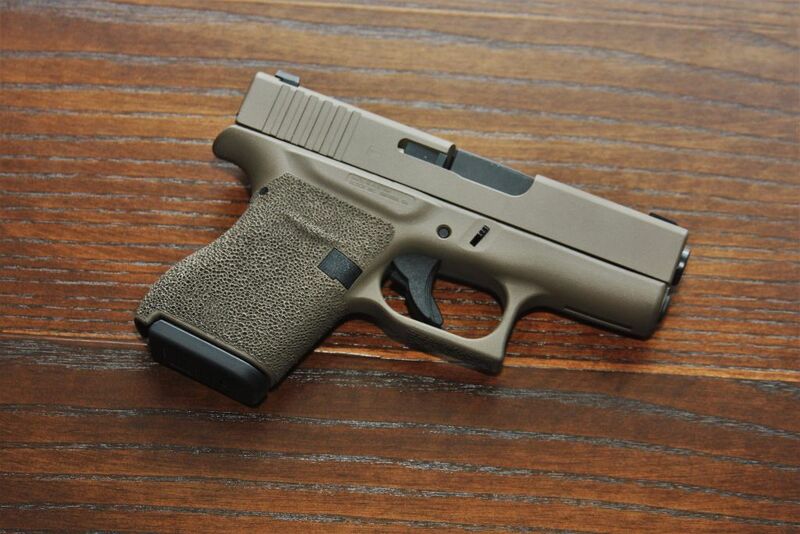 It has the benefit of being all GLOCK and I think it is a great backup gun. That all being said, the cerakote really makes it pop. I will keep you guys up to date on holster wear and the general durability of cerakote on a handgun. Had some request for images of the finish wear from use. The images below are from about a year of beating on this 43. I really dont baby my guns – I throw them in bags with other guns, parts and ammo all the time so any random chips are probably from that. 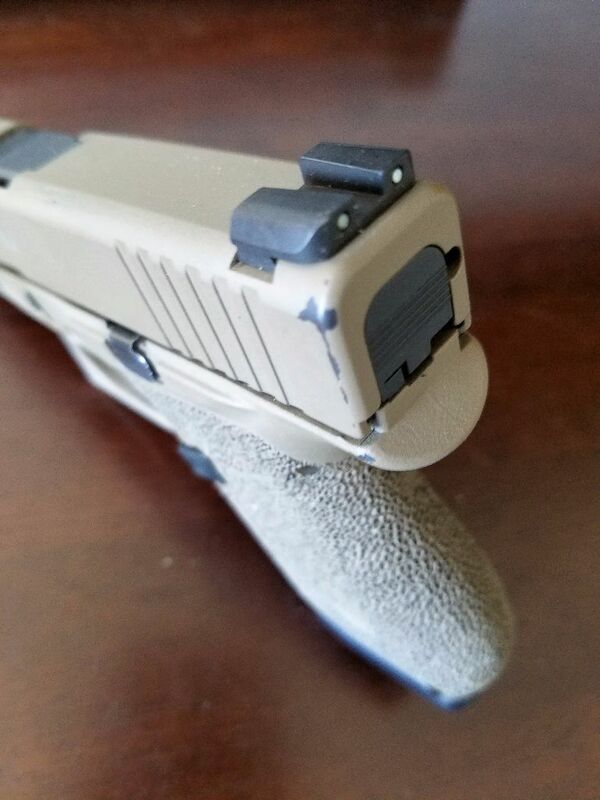 Any frame wear is from an INCOG holster. I would say the wear on the frame is indicative of what you will get just like normal holster wear but the frame wear is from abuse. I would add that this gun has not been really cleaned on the exterior so some of the wear may clean up. 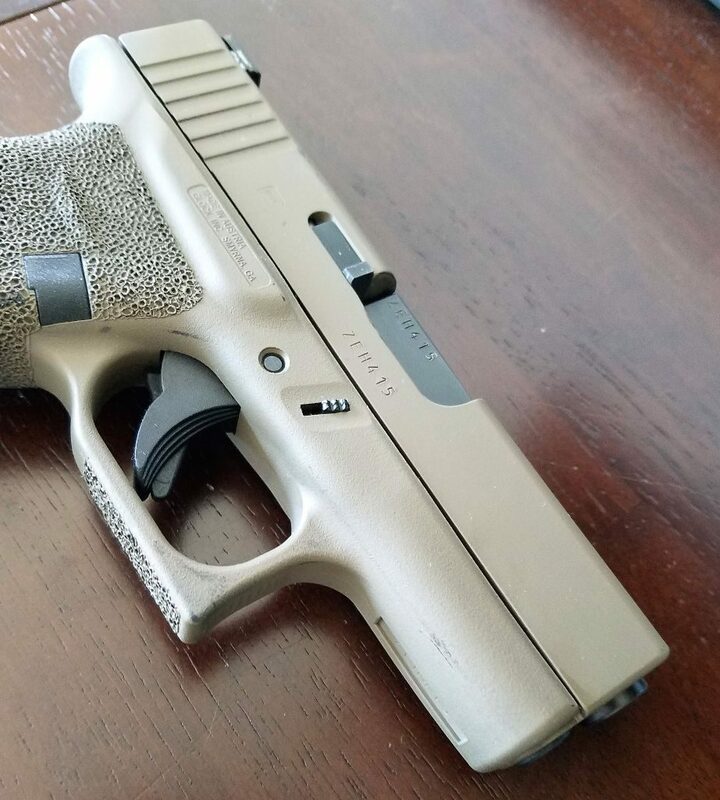 Almost a year since the cerakoting, how has it held up to holster wear and day to day wear and tear? See updated picture in the post. 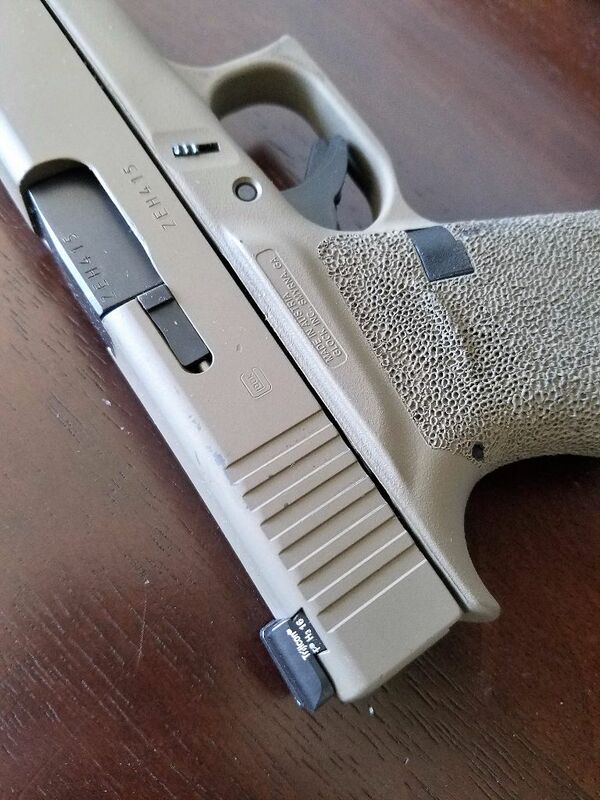 Was this the same 25/75 burnt bronze to flat dark earth cerakote as the your sbr?